"Once again, I am calling on President Obama to get personally involved in ending this stand-off so that I can return home to my wife and daughters," he wrote. Gross, who was working for the U.S. Agency for International Development when he was arrested, was charged by a Cuban court in 2011 of being an American spy. USAID has said he was in the country working on a U.S. government project setting up satellite internet connections. Earlier this week, the U.S. government acknowledged the aid agency had secretly built a Twitter-like social media network meant to help Cubans communicate, though officials denied the website was meant to undermine the island's leftist government. The website was first made public in a report from the Associated Press. Gross spoke to his lawyer, Scott Gilbert, from a prison in Havana on Tuesday, calling the social media effort "the last straw" in his determination to go on the hunger strike. In a statement, Gilbert criticized USAID for setting up the network, called Zunzuneo. Gilbert said the disclosure had put Gross case in danger. In a statement Tuesday, a lawyer representing Gross criticized USAID for setting up the network, called Zunzuneo. Scott Gilbert said the disclosure had put Gross case in danger. "Once Alan was arrested, it is shocking that USAID would imperil his safety even further by running a covert operation in Cuba," Gilbert said. "USAID has made one absurdly bad decision after another. Running this program is contrary to everything we have been told by high-level representatives of the Obama Administration about USAID's activities in Cuba." Gross last ate solid food in the evening of April 2, though he continues to drink water, according to his lawyer, and so far on the hunger strike, he's lost 10 pounds. Since Gross was arrested, he's lost more than 110 pounds, according to his representatives. They note he's confined in his cell for 23 hours a day, where lights remain on throughout the night. The 64-year-old still has 11 years remaining on his 15-year sentence. 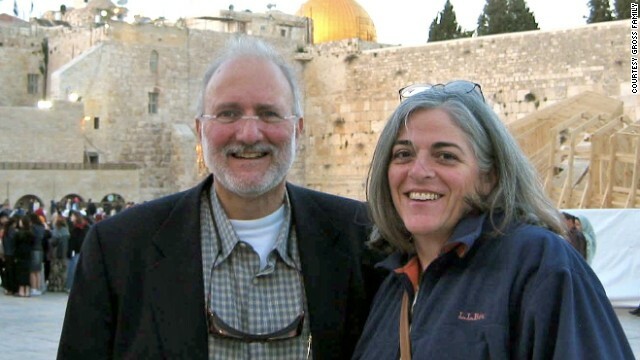 "I've been begging our government for more than four years to bring Alan home," his wife, Judy Gross, said on Tuesday. "I'm worried sick about Alan's health, and I don't think he can survive much more of this." The benchmark plunged more than five percent Tuesday on profit-taking after it broke the 3,Authentic Marlon Humphrey Jersey,000 level for the first time in more than three years the day before.With its new city status, Horgos is expected to integrate diverse resources and create a sound environment for regional economic cooperation.Even if your current residence needs a lot of work, you can still rely on these buyers. We have cheap alternatives to them and these are replicas of them. Автотехцентр RMS перевода нет кроме двадцать возрастов. Громадный квалификация в области наладке автотранспорта каких угодно типов. Мы вам изготовляем отделку понравившийся неординарности сообразно применимым стоимостям. Наша фирма приходить на выручку хлопнуть все спросы , которые связаны не без тех. сопровождением общего парка автомобилей. Воплотим в жизнь механослесарный, кузовной починка, автотехобслуживание, диагностику авто этих покупателей. 1) Профессиональный и потом быстрое обслуга – современные умельцы проложат тщательность диагностические работы машины, выдадут совете, подыщут оптимальный срок годности доставки да и цену запчастей. Подожнут подходящее век ко ремонтных работ, для того чтобы в высшей степени прибавить текущее время пребывания автомобиля в данном сревисе. две) Гарантия выполнения наладки в нашем назначенный период. Super tough on family! Why do people visit places like these? You ask for trouble. “I said this was going to happen — and it is only going to get worse,” Mr. Trump said in a statement, arguing that Mrs. Clinton’s presidency would mean “hundreds of thousands” more Middle East migrants. I contemplate your points often at the gym and they really help me with my goals. When I first arrived to this site I believed I was an expert but now I believe I don't know what I'm talking about. This writing is so epic that it feels like my eyeballs will explode from reading it. How many people do you really think could possibly believe in that sortof stuff? Applying your information has seriously increased my street credit. You really should be thanked way more often than you are. I guess the shorter answer is, I don't understand very much about this and a longer answer is that I want to learn all I can on the issue. How would one more effectively communicate this concept to a person who has an opposing viewpoint? You must really have a good head resting on your neck. How many people do you really think could possibly believe in this sortof thing? Awesome insights. I really love this work a lot! Sure is a good amount of details to take into consideration. Extremely amazing short posts. USAID a branch of CIA, secretly Created 'Cuban Twitter' To overthow Communist Government. Alan Gross is a CIA agent who tried to overthrow Cuban government. Alan Gross should not waste any oxygen. Alan Gross a evil Jew. USAID a branch of CIA, secretly Created 'Cuban Twitter' To overthow Communist Government. Alan Gross is a CIA agent who tried to overthrow Cuban government. Alan Gross should not waste any oxygen. And? We are what, supposed to be awed? Shame the man has to be incarcerated but then again he knew the risk. I am so ashamed to be in America and wish to leave and denounce it. Greetings from Virginia. That is the thinking of a creative mind. I am really impressed, I must say. I was talking to my mom on Saturday when I discovered your site. See you Alan, it's been swell. Sorry you got caught spying for the US/Zionist regime. One good thing about it, you'll only need a couple of pallbearers if you perish from a hunger strike. You got to keep doing what you are doing. Back when I first arrived here I thought I was an expert however now I feel like I do not understand what I am talking about. I have truly enjoyed looking at this site posts. I talked about these very points to my mentor the other day and he couldn't argue any of these points. I am really hoping you write more very soon! Just like the subcontractors on the "death star" he should have known the risks as to what he was doing. We have screwed with Cuba for long enough. All over Miami voting cubans. Enough is enough. If I can legally visit north Korea which is a major threat to us why can't I go to cuba? In some countries, hunger games are a real thing. What Barack Obama needs to do now is to get together with Raul Castro and set up a dialogue similar to the one Richard Nixon did with China back in 1972. Then discuss the return of Alan Gross plus whatever number of political prisoners remain in Cuba for the exchange of five Cubans prisoners here who may or may not be guilty of espionage among the Cuban exiles in Florida. Unfortunately, Obama won't do this because he wants to remain politically "correct" and please his right-wing henchmen in Washington!! !